Below, you can read about NTN SNR EUROPE and find out about its products, services, technology, events, structure, and much more! Did you know? Some vehicles, particularly Renault and PSA, use brake discs with integrated (biconical) bearings on the rear axle. This type of assembly, established by the manufacturer, results in significant weight savings since the disc becomes the wheel hub. It is equipped with a phonic wheel or a magnetic encoder (SNR ASB). This system makes mounting and disassembly easier. SmartTEMP controls the temperature whilst mounting, to preserve the integrity of the materials and ensure total safety when mounting bearings or gears. The touch screen along with the ability to store heating information leads to better traceability. Ease of use and the scope of range make SmartTEMP a very high-performance tool for all industries. MAGNA nominated the Sensor Bearing for e-drive motors as the best supplier innovation 2018 in the “Electrification” category. NTN-SNR and EFI Automotive teams take pride in this award, that recognizes their expertise, innovation and hard work. NTN-SNR, Lazareth partner for a world exclusive! Manufacturer, specialist in prototyping & building extraordinary vehicles, Lazareth is celebrating this year its 20 years of creativity. Lazareth flying bike will be introduced in worldwide preview on Thursday 31st of January. NTN-SNR is pleased to support this project as part of a technical partnership. The timing system with belt in oil has a lot of benefits: compactness of the engine, a better engine performance, a reduced friction coefficient that gives a better fuel consumption, less emissions of CO2, and minimal noise due to the optimized profile of the pulleys and the belt. Automechanika Innovation Award - Among finalists, NTN-SNR is rewarded for its ceramic bearing of the Jaguar XE SV Project 8…a world premiere! At Automechanika 2018, NTN-SNR is unveiling its new ceramic bearing, which was specially developed for Jaguar-Land-Rover in the context of the limited edition Jaguar XE SV Project 8. 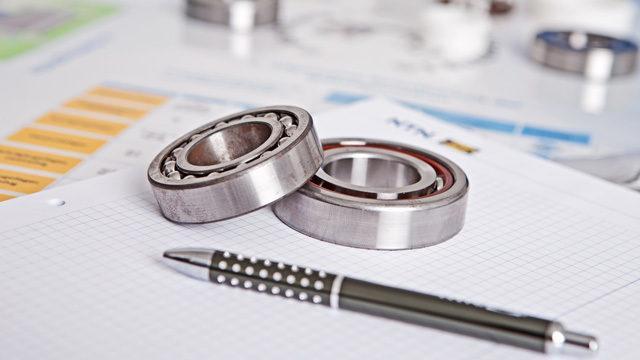 This ceramic bearing has been selected by a jury of professionals as a finalist for Automechanika Innovation Awards out of 120 entries in competition. NTN-SNR will take part in Automechanika, the world’s leading trade fair for the automotive aftermarket to be held from 11 to 15 September in Frankfurt. NTN-SNR is a major player in this market and this event will be a great opportunity to introduce to all our product lines, as well as to our very latest innovations. We will have the pleasure to welcome you to booth C30 Hall 4.